What Happens When a Will Goes to Probate? If you have assets at the time of your death, they must still pass through the probate process so your outstanding bills are paid and the remaining assets go to your statutory heirs -- persons whom by the law in your particular state are deemed to have the right to inherit from you. If you leave a will, the process is overseen by your chosen executor. Immediately after your death, your will is submitted to your state’s probate court and that court will confirm that the will is valid, according to the Thom L. Cooper Company. The court will then send notice to your heirs, beneficiaries, and the executor of your will -- whomever you named to oversee the process of distributing your estate -- that your will is about to be entered into probate. Once everyone concerned is notified, your choice of executor is officially sworn in. If you neglected to name one in your will, the court will appoint someone. The court officially provides her with documentation allowing her to legally act on your estate’s behalf. The probate process generally begins with an inventory of your assets to make sure that everything you bequeathed in your will still exists and was still owned at the time of your death. You might also have acquired more property since you made your will and these assets must be identified also. Appraisals will set a value on the assets, according to the Thom L. Cooper Company. Once the value of all assets is established, your executor will pay your debts. These include any creditors you owed, as well as state and federal death taxes, which will have to come out of your estate. The American Bar Association indicates that your executor is also entitled to a fee or commission for her services and your funeral costs are paid, as well. Some states require your executor to publish notice of your death in a newspaper to alert any unknown creditors that you have passed away, giving them an opportunity to make a claim against your estate for payment. The laws in most states allow for partial distribution of assets pending the overall resolution of your estate. For instance, if you clearly have more assets than debts, your beneficiaries might receive some portion of their shares while the probate process is still underway. Otherwise, the executor distributes assets at the end of the probate process. If you had more debts than assets, it is possible that your beneficiaries might get less than you intended to give them, or nothing at all. Assets assigned to a beneficiary outside of your will are generally exempt from probate, according to the American Bar Association. These might include life insurance policies or retirement plans. This also holds true for anything you co-owned with a survivor, assuming the asset was joint with rights of survivorship. When someone dies without a will to bequeath his property, the law leaves little doubt about who receives the fruits of his lifetime’s labors. It goes to his next of kin, and there’s no room for creativity, compassion or need. Probate courts distribute according to degrees of kinship, with the decedent’s most closely related family members receiving first right. Knowing how the probate process in your state works can be a pivotal element in your approach to estate planning. In those states where the process is more complicated, you might consider creating a living trust instead of passing your property by will to avoid probate. Ohio probate law requirements are comparatively uncomplicated, however. If you select an executor with reasonable organizational skills, she should be able to handle your estate and your creditors with few problems because the state doesn’t require much in the way of publishing notices. 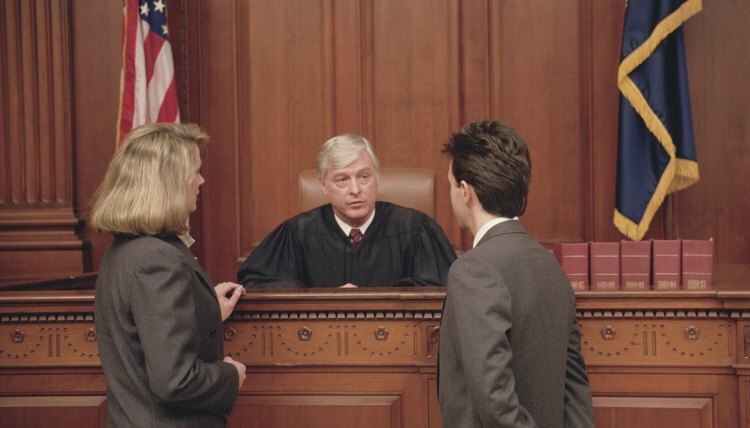 What Is the Purpose of Probate Court?